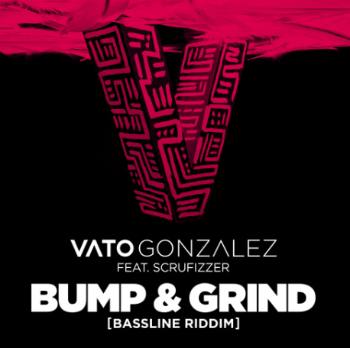 Dutch producer Vato Gonzalez delivers his brand-new track ‘Bump & Grind (Bassline Riddim)’ on Polydor Records. Having previously collaborated with, or remixed, artists such as Major Lazer, Taio Cruz, DJ Fresh, Tyga, Skepta, and Wiley, ‘Bump & Grind (Bassline Riddim)’ sees the Dutch producer team up with UK rapper Scrufizzer, a member of the production group Funkystepz, who gained support from the likes of Zane Lowe and BBC Radio 1 tastemaker Annie Mac. Famed for trademark "fizzy flow", Scrufizzer was labelled by BBC 1xtra's Nick Bright as “the fastest spitter in the UK” and has performed at many iconic festivals and venues, including Creamfields, SW4, and Ibiza Rocks. With more than 2000 shows worldwide under his belt, Vato has sold out venues like New York’s Webster Hall, and performed at Bootshaus (Cologne), Privilege (Ibiza), Avalon (Los Angeles), and Ministry of Sound (London), as well as major festivals like Tomorrowland, flicking between his primetime mainstage sets and more underground club stages. With tracks on various esteemed labels in recent years, including Armada Deep, Ultra Records, Ministry of Sound, Spinnin’ Records, Dim Mak, and Mad Decent, Vato received high praise from the latter’s head honcho, American superstar Diplo, prior to launching a myriad of releases on his own Dirty House label. Serving as a unique and dynamic blend of both artist’s sonic styles, ‘Bump & Grind (Bassline Riddim)’ is out now.